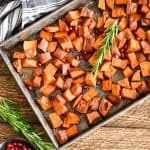 This Cinnamon Roasted Sweet Potatoes recipe is a easy & healthy side dish made with only 5 ingredients! These crispy sweet potato cubes are paleo, vegan, gluten-free & dairy-free! I eat sweet potatoes in one form or another every single day. They are on my list of top 5 favorite foods, and I just can’t get enough of them! These Cinnamon Roasted Sweet Potatoes are one of the most delicious side dishes I have created to date! They have all the flavors of everyone’s favorite sweet potato casserole, but none of the mushy texture! Plus, this healthy sweet potato recipes is made with only 5 ingredients and is paleo vegan, and gluten, dairy & refined sugar free! Which is why, when I do take a scoop of sweet potato casserole at holiday celebrations I always make sure to fish out a large portion of the crispy topping….because I need some crispy crunchy goodness in every bite! Well, if you’re like me and LOVE the flavor of sweet potato casserole but wish the texture was a little less….mushy, then these roasted sweet potato cubes with cinnamon are for YOU! 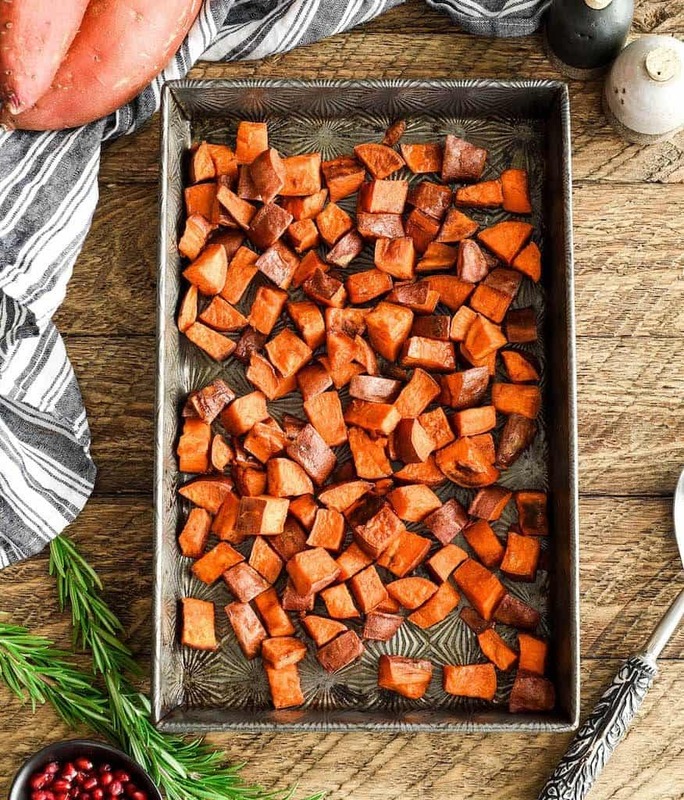 In this maple sweet potatoes recipe, sweet potato cubes are coated in coconut oil, maple syrup sea salt and cinnamon and roasted to golden-brown perfection. This means that every single bite is bursting with crispy on the outside, smooth on the inside sweet potato deliciousness! These crispy roasted sweet potatoes are SO easy to make. It might seem like there are a lot of steps but really it’s all super straightforward! Crisp the sweet potatoes. 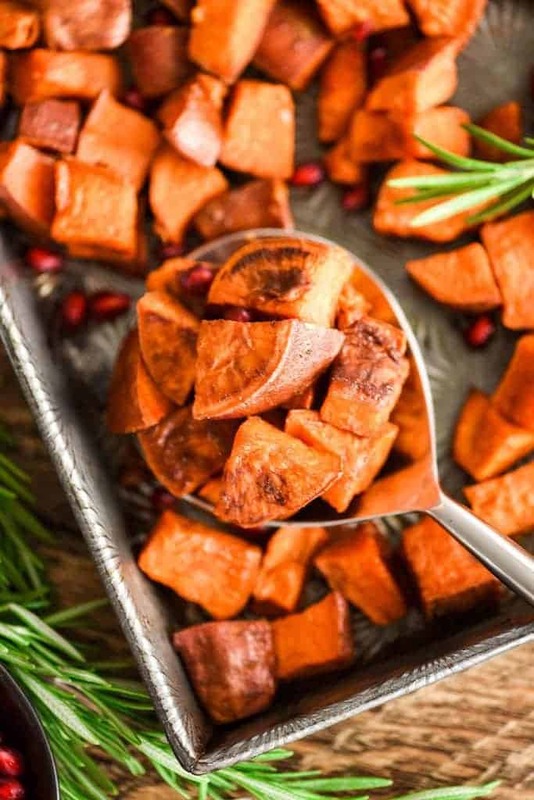 Roast the sweet potatoes with 2 TBS of coconut oil until they just start become golden-brown (about 15-20 minutes). If the maple syrup is added in the beginning it will burn before the potatoes are fully cooked! Add the syrup. Once the sweet potatoes are crisped, add the remaining 1 TBS of coconut oil, maple syrup and cinnamon and stir until everything is evenly distributed. Then bake until the syrup forms and nice coating on the potatoes and they are golden brown! Then serve immediately to enjoy the maximum crispy goodness! This is an important note in this Maple Roasted Sweet Potatoes recipe. Coconut oil is a solid at room temperature, which means that if the melted coconut oil comes into contact with a cold piece of sweet potato, it will solidify almost instantly. 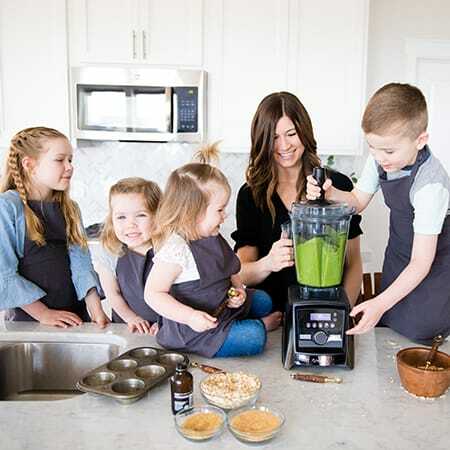 This will result in an uneven distribution of ingredients! 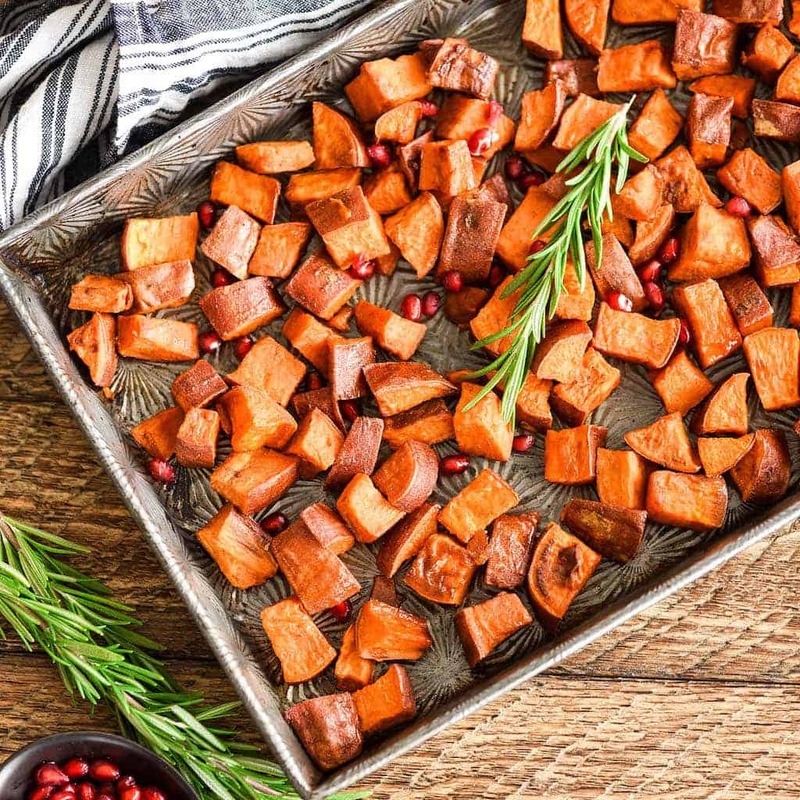 Here are some commonly asked questions about these Maple Cinnamon Roasted Sweet Potatoes that I’d love to answer for you! 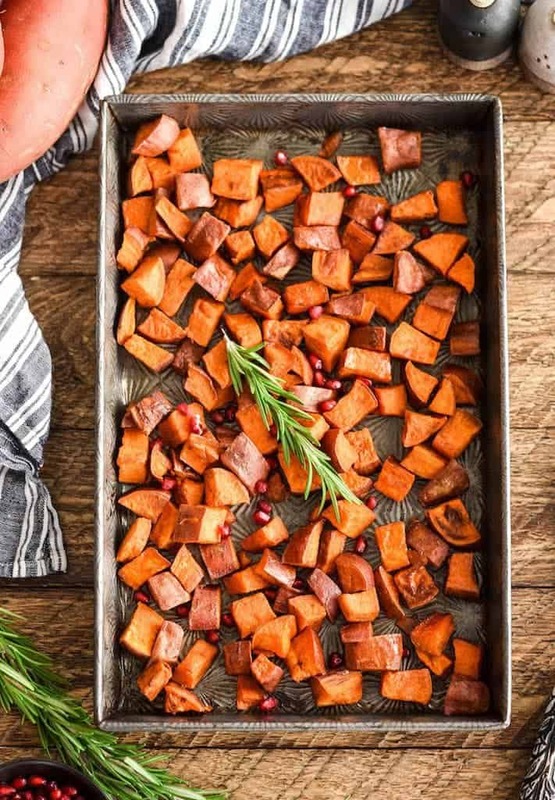 How do you make roasted sweet potatoes crispy? Roast with only oil and salt first. Like I mentioned earlier, it’s important to roast sweet potatoes with only oil and salt before adding any other ingredients. You don’t want to compromise bake time by introducing a wet ingredient (like in these peanut butter sweet potato fries) before it’s time. Flip and stir during baking. In order to ensure that all sides of your roasted sweet potatoes are browned, it’s crucial that you stir/flip them during roasting. Sometimes I even use tongs to individually flip sweet potato cubes to ensure I didn’t miss any! Cut the sweet potatoes in small, thin pieces. 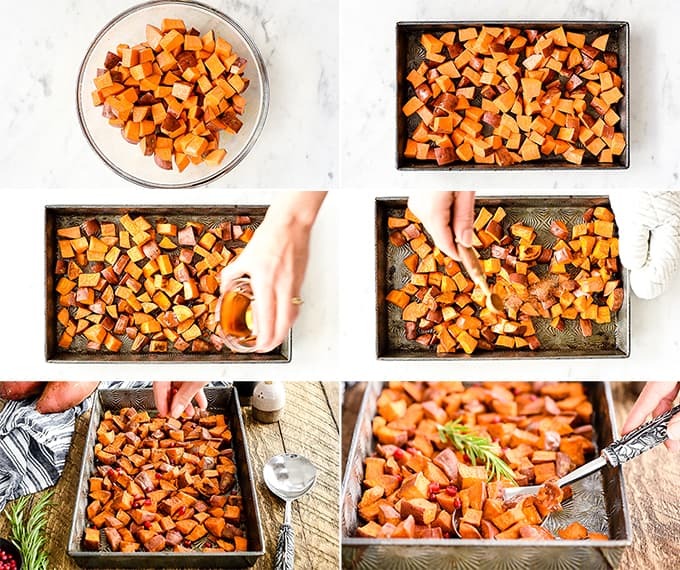 The more surface area of the baked sweet potato cubes that are exposed to the surface of the baking sheet, the higher the ratio of browned, crispy outside to soft inside will be. Plus, smaller pieces decreases baking time! Do you peel sweet potatoes before roasting? No WAY! I mean, you can, but I do not recommend it! The skin is loaded with nutrients (see below) and adds a great texture and flavor to roasted sweet potatoes! I always recommend roasting sweet potatoes with the skin on! High in nutrients such as Vitamins A, C & B, manganese and potassium – which helps regulate blood pressure! They are high in fiber, which means they do not cause blood sugar spikes, like regular potatoes do! Help boost fertility. I ate so many sweet potatoes and yams when I was trying to conceive to help my body be as healthy as it could be! Other healthy sweet potato recipes! 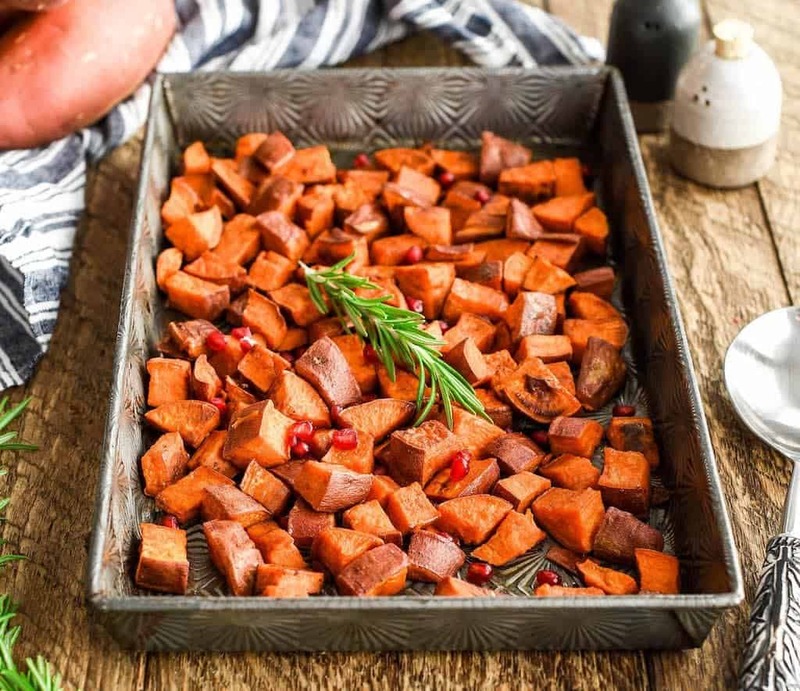 For a more traditional Thanksgiving sweet potato dish, try this Healthy Sweet Potato Casserole! These sweet potato veggie burgers are one of my favorite make-ahead meals! Honey Lime Sweet Potato Tacos are a delicious vegetarian option for taco Tuesday! Looking for something sweet? This Healthy Sweet Potato Bread is a delicious way to use leftover mashed sweet potatoes as well! Sweet potatoes. Any variety of sweet potato works well in this recipe, classic orange is pictured here, but both purple and white sweet potatoes can be used! 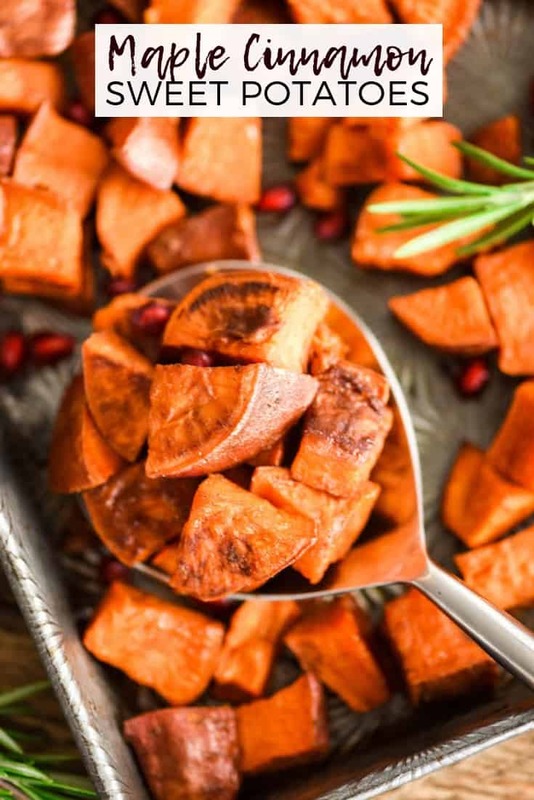 Yams are also a totally delicious substitution for sweet potatoes! Coconut Oil. Butter, olive oil, ghee and avocado oil can all be used in place of coconut oil. However, please be mindful of the way the taste/texture of the oil will change the overall taste of the dish! Maple syrup. Pretty please, I implore you to only use pure maple syrup (no artificial substitutes). Honey can also be used, however the maple syrup adds such a rich fall flavor that I don’t recommend switching it out! 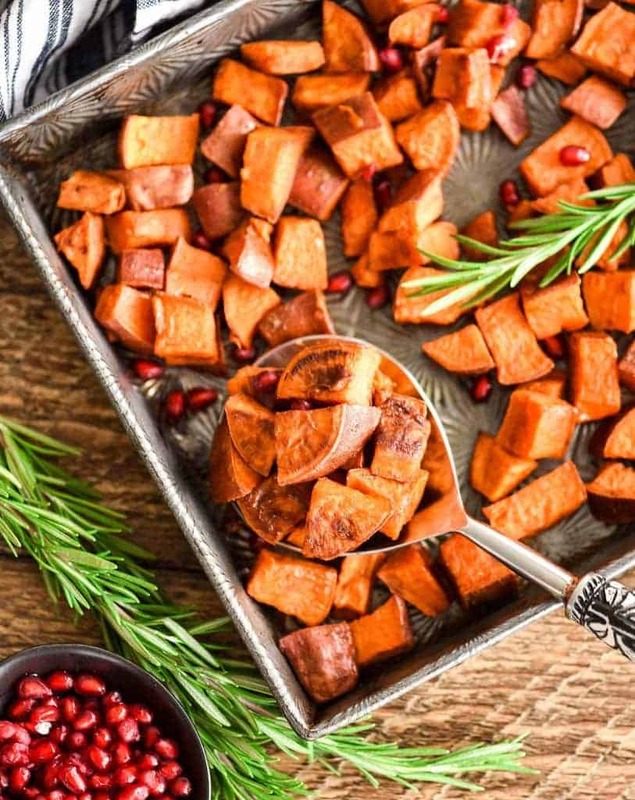 This Cinnamon Roasted Sweet Potatoes recipe is a perfect easy & healthy side dish! These crispy roasted sweet potato cubes are made with only 5 ingredients and are paleo, vegan, gluten-free & dairy-free! They taste like a crispy version of the beloved sweet potato casserole! Grease a large baking pan, set aside. In a large bowl, toss cubed sweet potatoes with 2 TBS of melted coconut oil. Stir until coated. Add sea salt and stir until evenly distributed. Stir and bake 10 more minutes or until some of the sweet potatoes are just starting to brown. Remove from oven and drizzle with remaining 1 TBS coconut oil and 2 TBS maple syrup. Stir until the sweet potatoes are evenly coated. Sprinkle with cinnamon and stir until it’s evenly distributed. *Melted butter can be used in place of coconut oil. What is your favorite produce item that’s in season in November?! I’m pretty much eating sweet potatoes every day this time of year. Especially when they are combined with maple syrup! This is the perfect Holiday side dish! I eat a crazy amount of sweet potatoes too! They’re my favorites and I love putting them in everything! I love the flavors you roasted them with, such a perfect side dish! Sweet roasted sweet potatoes are the BEST! 🙂 I just made your pumpkin baked oatmeal yesterday, and I’m just loving all the orange veggie recipes you’ve shared. Thank you Laura! Sweet potatoes are a staple in my kitchen year round but I amp it up this time of year. I love the maple cinnamon version and bet they’d be delicious on top of oatmeal! YUM! Right up my alley! TOTALLY LOVING your blog, btw! Hope you don’t mind if I link up and visit/comment more often! ?